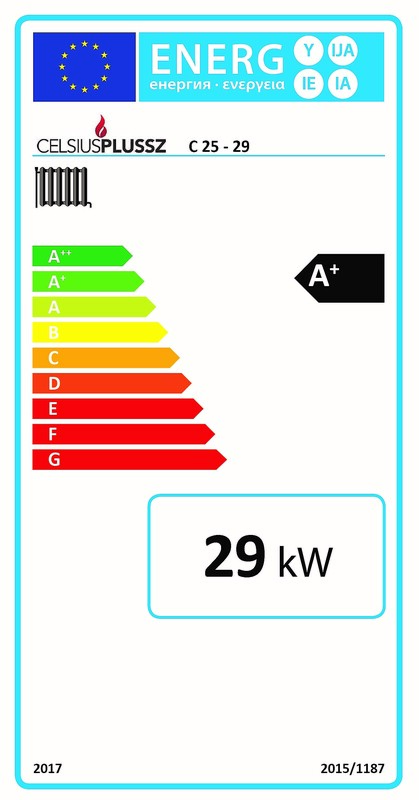 Celsius C 25 - 29 boiler - Celsius a takarékos energia - fűtés rendszerek akár 5 év garanciával. The boilers are suitable for family houses, small apartments, foil and greenhouses, small factory halls and workshops gravity or pump heating. These boilers are easy and economical to operate. Their firebox is made of 5 mm thick steel by welding folded edges. These boilers have 3 steel plate doors that serve cleaning, filling, air control. Celsius C boilers are easier to clean because of the boiler width- door without sill. 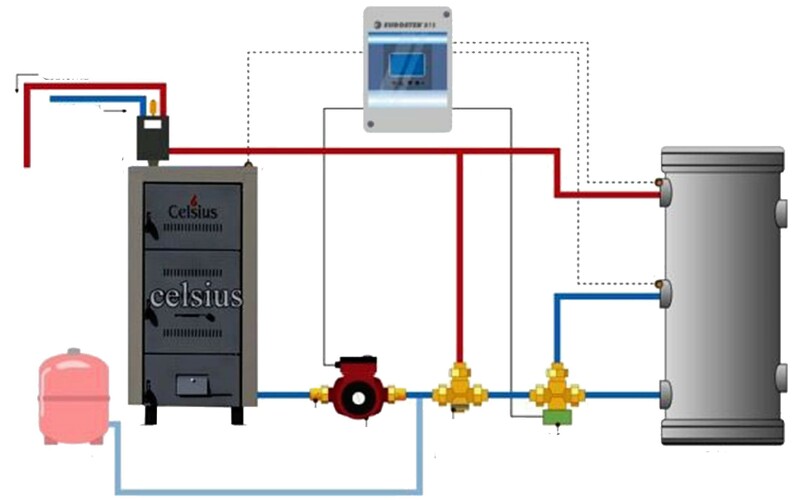 Celsius heating system will provide even heat distribution in comparison to an open fire place or stove. Able to connect with other heating sources (maximum 3 bar pressure) in the one heating system. Suitable for radiator, underfloor or combined heating systems.